So . 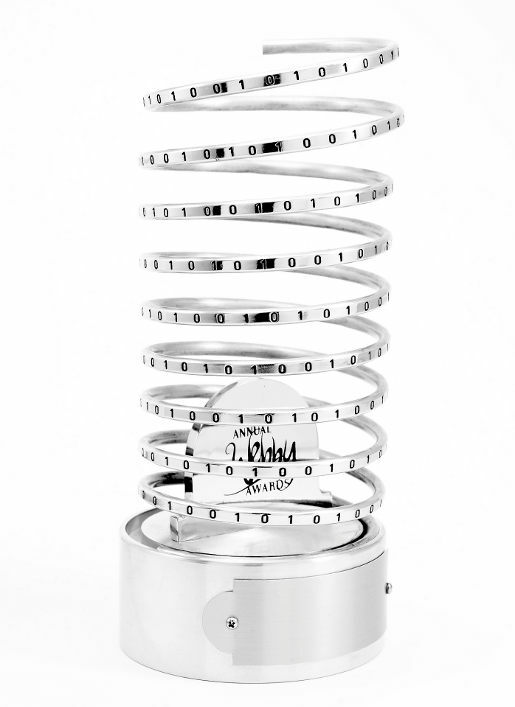 . . when (not "if") Rhett and Link win this WEBBY Award they can choose to accept it in person at the awards ceremony to be held on Monday, May 19th 2014 at Cipriani Wall Street in New York City. How would you suggest the dynamic duo take and own this moment in the spotlight? Tribal DDB Worldwide: "We're hiring, send your resumes." Steve Wilhite: "it's prounounced jif not gif"
House of Cards: "the oscars, should do this." Huffington Post Media Group - People's Voice: "Salam, shalom, shanti, patchi, peace"
PBS - Webby & People's Voice: "here's an idea...thank you"
The Uncultured Project - Webby & People's Voice: "Don't forget to be awesome." Comedy: Individual Short or Episode < the category R&L will win this year! CollegeHumor - People's Voice: Now also Star Wars humor! R&L saunter out onto the stage, pausing to wave to the crowd, perhaps take a bow or two . . . Rhett stands on the left with a guitar . . . Link stands on the right and accepts the trophy from the presenter . . . and they Rhett strikes a single chord as they shout out, in unison with perpect pitch and mythical harmony . . .
NILLA WAFER TOP HAT TIME! "Minimize the moment of nakedness."
. . . of course, they could kill 2 (or more) birds with one stone by dressing appropriately . . .
"We rubbed bacon on it." Or, "Lionel Richie is here, right?" Rub some bacon on it- or some derivative of that phrase- would be great! However, if they were somehow able to bring a Nilla Wafer Top Hat with them, then obviously NWTHT wins out. "Thanks a lot for voting." "Hold on, how many words? "I'm confused, how many words?" "Always be your mythical best"
"Thankfulness... let's talk about that"
"First rule: No Justin Bieber." "What are we here for?" Good mythical Webby... Dance Time!! !